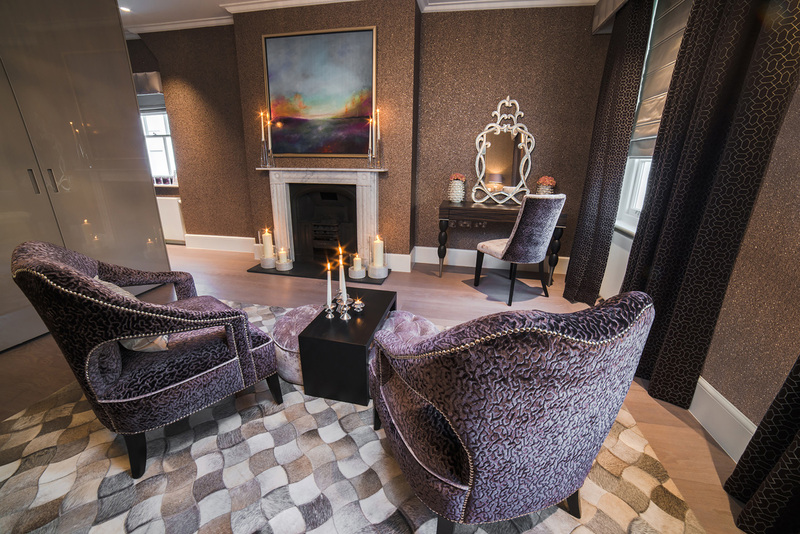 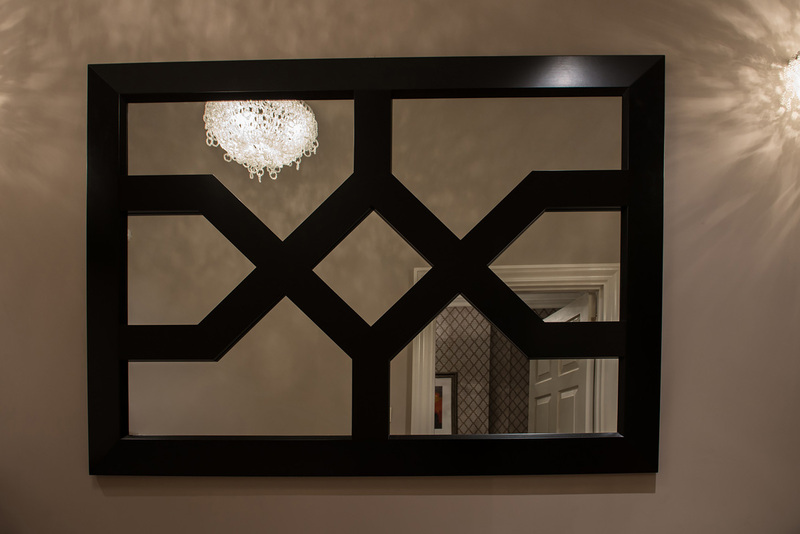 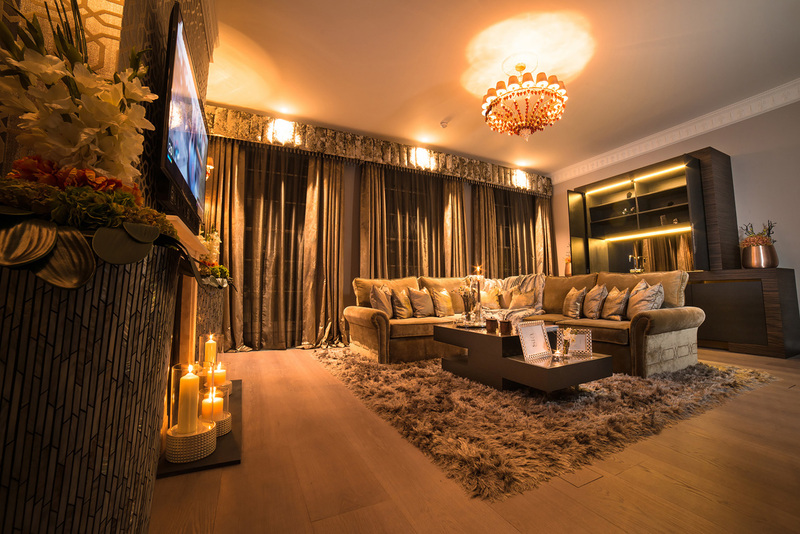 The clients required a glamorous look for a beautiful four-storey town house in central London. 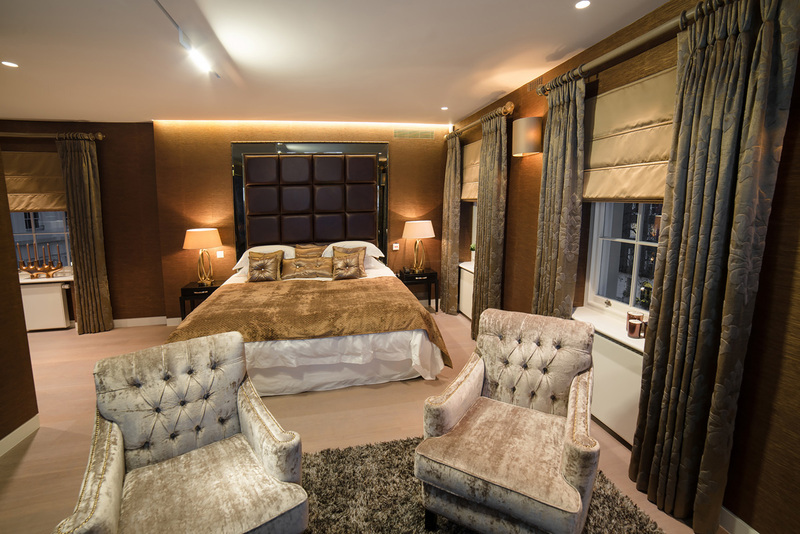 Each room was to be dressed with its own luxurious scheme, complete with bespoke headboards, pop up TV units and bespoke furniture. 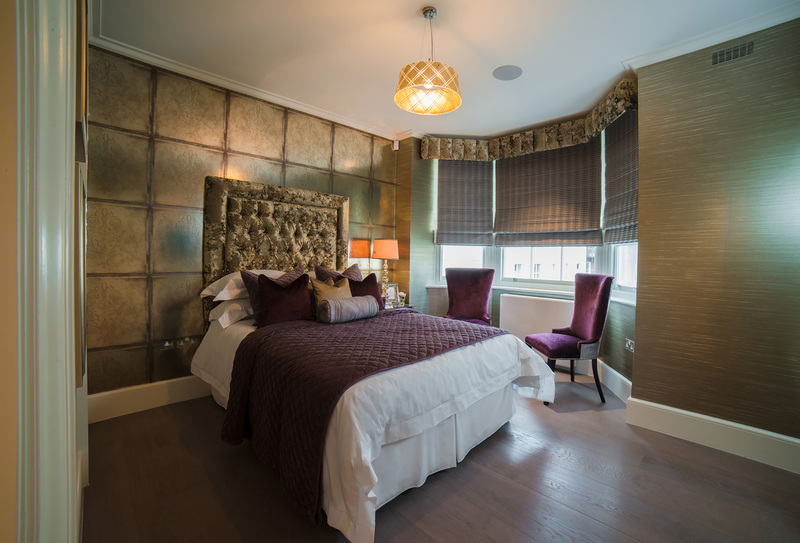 Each room was draped with luxurious curtains and bespoke furniture. 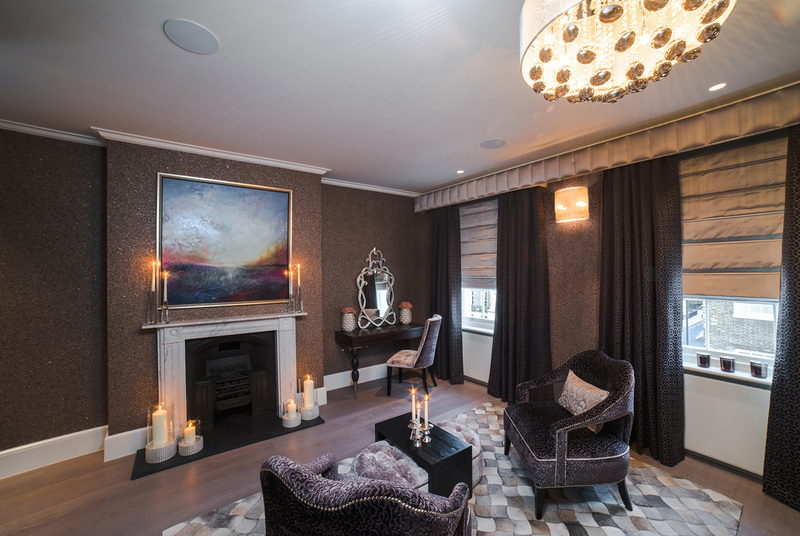 Bespoke Italian chandeliers were used and beautiful wallpapers through out. 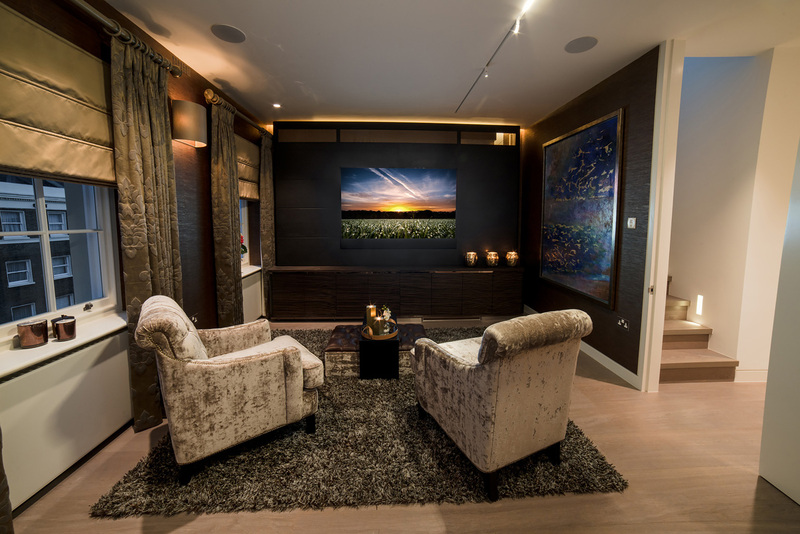 The clients stressed that all furniture must be practical and comfortable. 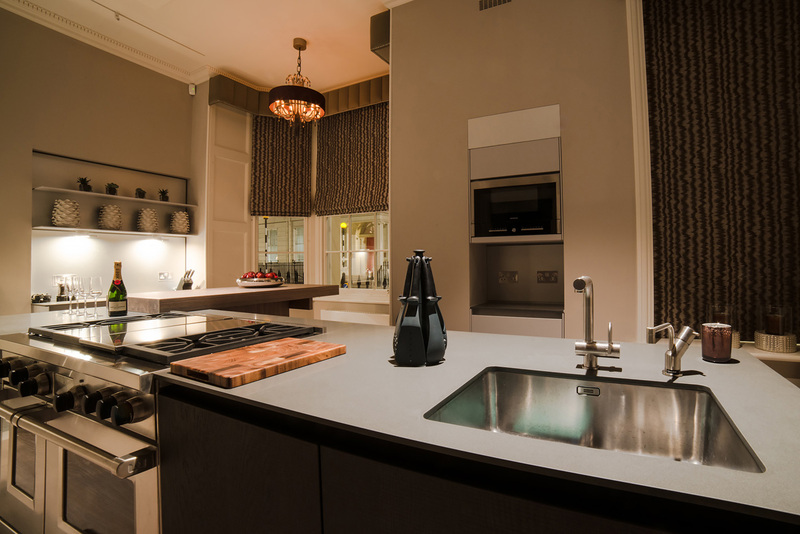 We successfully managed to deliver palatable schemes throughout the town house. 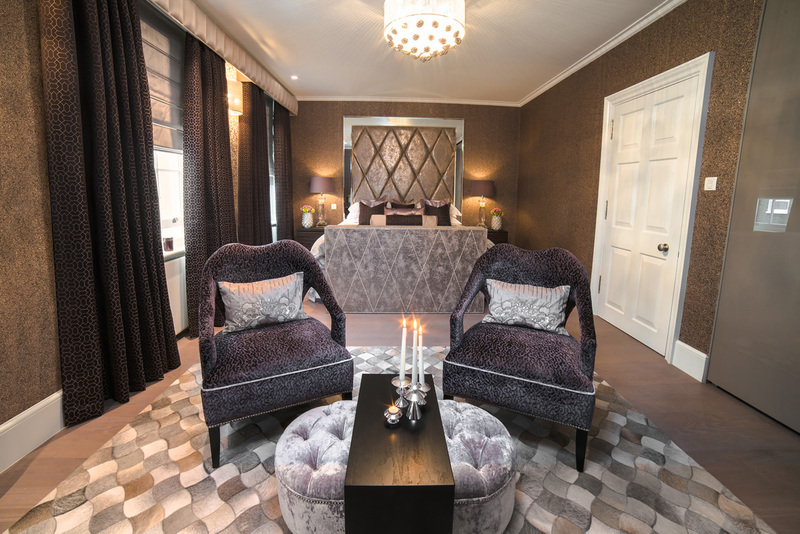 All bespoke furniture was glamorous but maintained practicality and comfort. 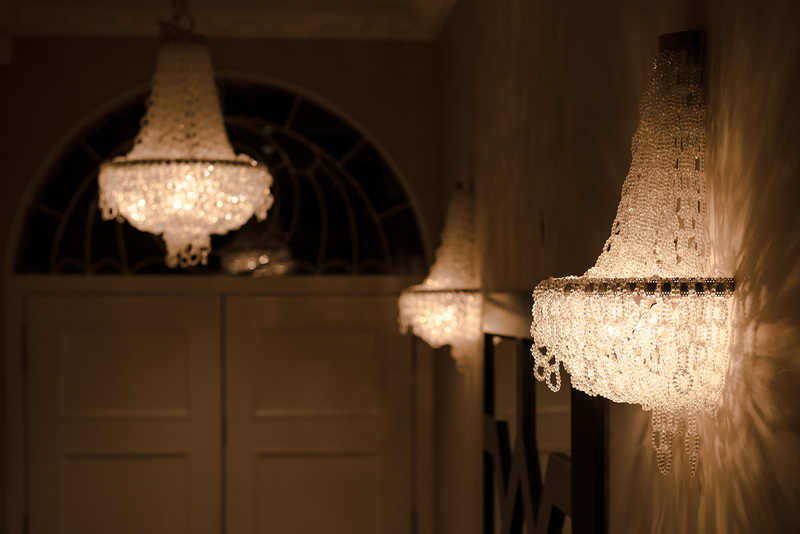 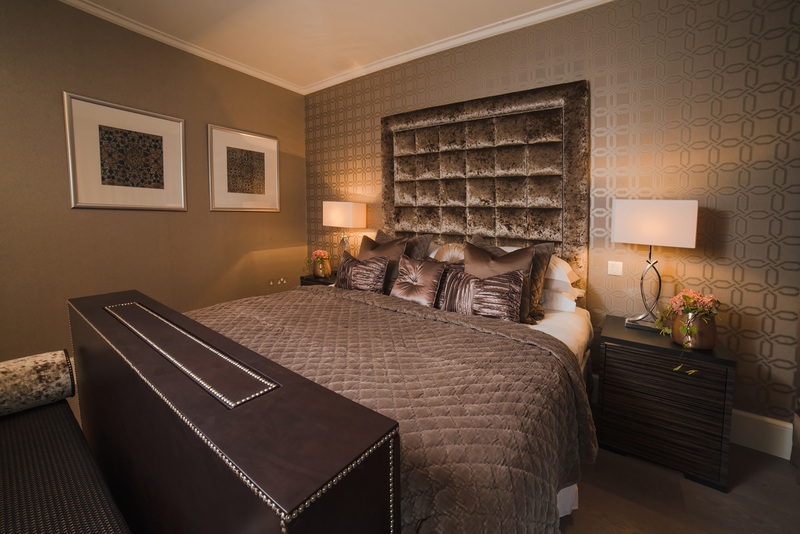 The smoked mirrored headboards to the beautiful hung chandeliers added a wow factor to the property. 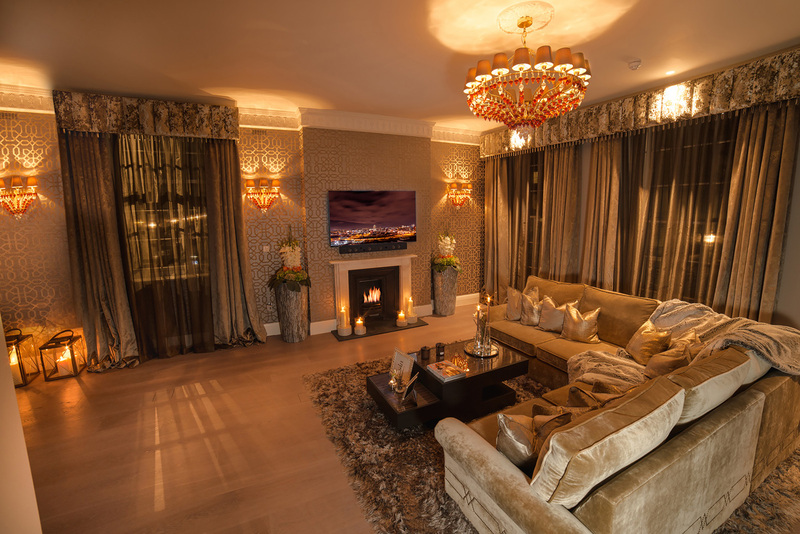 The star of the show was indeed the living room with beautiful curtains hanging off the high regal ceiling crowned with two exquisite amber and crystal chandeliers. 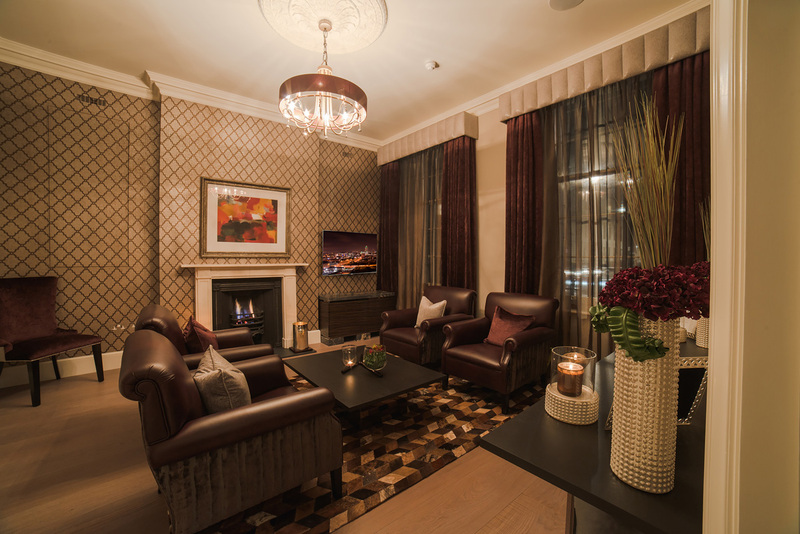 At the centre, we placed a large sofa, adorned with intricate detail to snuggle near the warm roaring fire.